PowerPC has been working side by side particularly with AppleÃ­s products for quite a number of years already, but since Apple made a transition to Intel last 2006, it became one of the major influences that made people to compare the two. PowerPC is a microprocessor developed mainly by the three developing companies Apple, IBM, and Motorola also known as AIM. It is built with reduced instruction-set computer (RISC) which speeds-up the operation of MIPS (million instructions per second). PowerPC is mainly based on IBM’s earlier Power architecture because it has a similar RISC instruction set for microprocessors. They remain compatible with each other though that the same programs and operating systems can run on both. PowerPC versions exist in both 32-bit and 64-bit platform. PowerPC versions such as G4 and G5 can go up to 2.5 GHz clock speed. 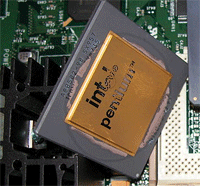 The PowerPC provides an alternative to IntelÃ­s popular processors in terms of architecture. Intel chips have drastically changed over the past fourteen years that loads of Intel family processors have emerged and are highly competitive to other processors. Most of these processors are Nehalem-based. The Intel Core i7 which was first released last 2008 seems to be the fastest so far with maximum clock rate 1.6 GHz Ã± 3.47 GHz. Its Quick Path Interconnect (QPI) architecture provides a point-to-point high speed links that allows a much faster communication between the CPU and other various subsystems. Most of Intel Core i7 has 731 million transistors, 4 core and 8MB of L2 cache. However, if we deliberate on their power consumption, Intel chips seem to consume more power than PowerPC due to the techniques used to raise the performance and clock speeds. While PowerPC is designed and used in an embedded sector, their power consumption is quite lower. Though Intel is a bit higher in speed, their difference in power consumption seems to be 10X greater. For example, if we take a look on their latest versions, the G4 and G5 consumes about less than 10 watts whereas Intel doesnÃ­t really give out figures rather they only refer to thermal design rating which is around 30 watts or lower than the maximum figure. One of the reasons why the Apple Company made a transition to Intel is the performance per watt or speed per unit of electrical power provided by Intel. PowerPC probably did not come up with the 3 GHz clock speed requirement of Apple because it wasnÃ­t available. This requirement was intended by Apple for their laptops or MacBooks which have become the fastest growing segment nowadays. 1. Intel chips are undoubtedly faster than PowerPC. 3. Intel chips have higher power consumption due to techniques used for higher performance and clock speed. 4. PowerPC is Power-based architecture whose main feature is its reduced instruction set computing (RISC). While Intel processors are mostly Nehalem-based architecture which itÃ­s main feature is the Quick Path Interconnect (QPI) technology. Ian F. "Difference Between PowerPC and Intel." DifferenceBetween.net. July 27, 2011 < http://www.differencebetween.net/technology/difference-between-powerpc-and-intel/ >. The PowerPC line does not max out at 1.67 GHz. The 7448 and 970MP are available up to 2 GHz. Hmm, why did G5’s require extreme cooling design if they really do not consume huge amounts of power or generate significantly more heat? Why was there no portable G5 if their power consumption was low? I’ve had couple G5 iMacs and they do run really hot under stress and still they mainly compete with Athlon XP in terms of perfomance, Dual G5 2.0GHz model even lost to a single core Athlon64 when it was benchmarked by one site, can’t remember the name but Google will find it. All i know is , useing powerpc macs felt way different than intel macs. i know intel is now faster, but something about the power pc chips felt smoother. This is the good exemple of article filled with many errors…. But of course, with billions of dollars spent by Intel in marketing, for sure, Intel processors must be the best ones. Absolutely right, POWER6 is able to run on 5 GHz with nominal cooling techniques, while the intel chips needs water cooling and huge fans at this clock rate. Not mentioning the instruction set, the x86 core is still the i386 from 1985 but they are still keeps it, to make it able to run winshit.